The creator of telephone town halls and your one-stop shop for outreach solutions. Tele-Town Hall® is the first large-scale, personal communication tool with the power to help organizations easily interact with thousands— even millions —in minutes through a town hall-style meeting conducted via the telephone and web. As the creator and leading provider of Tele-Town Hall® technology, Tele-Town Hall® is the authority on telecommunications-based outreach. For over 12 years, Tele-Town Hall® has worked with elected officials, non-profit organizations, school districts, and businesses around the world to reach their audience. 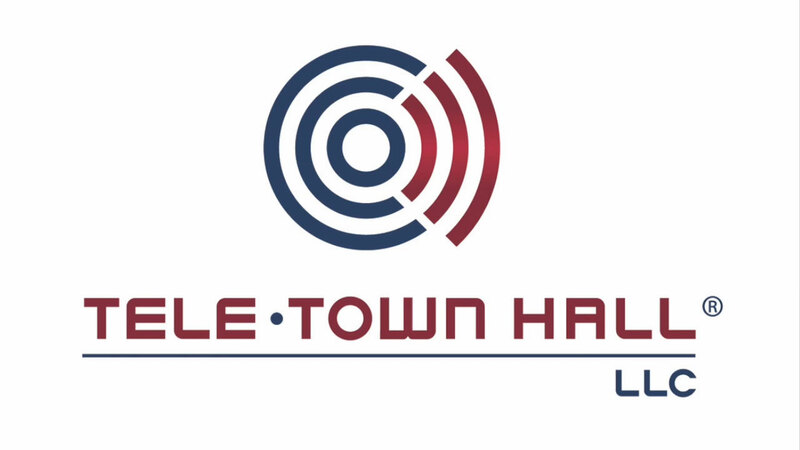 Whether you want to connect with 100 listeners or 100,000 listeners, Tele-Town Hall’s range of services will help you accomplish your outreach goals. Tele-Town Hall® rapidly dials out to a list of phone numbers provided by your organization. Audience members receive your personalized, pre-recorded message inviting them to remain on the line if they wish to be transferred to your live Tele-Town Hall® event. Once they have joined your Tele-Town Hall® event, participants can ask press a button on their key pad to request to ask your Speakers a questions live, as well as respond to integrated Survey Questions. Using a customized Tele-Town Hall® Web Interface, you control which participants ask their questions live on the conference as well as when to pose Survey Questions to your audience. Participants, who are unable to ask their questions live, have the option to leave a personal message with a Call Screener or a Tele-Town Hall® voicemail for the “Star Speaker” at the conclusion of the meeting. Following your Tele-Town Hall® event, you will receive a detailed report complete with participant statistics as well as a digital recording of your event that may be posted to your website. Q&A is the core of every Tele-Town Hall® event and the best way to interact with your audience. Participants can either speak to a screener or interact with the speaker, depending on how your event is customized. Polling Questions are a valuable tool for capturing audience information. Polls can be multiple choice to get a sample of your audience’s opinion or they can have one response to let listeners self-report. The Collector Queue allows members of your team to interact with audience members who wish to make a donation. Collector can take credit card information for a seamless transaction. Each Tele-Town Hall Event® comes with a complimentary report, detailing your connection rate, the results of your polling questions, the live Q&A questions, and more. Every Tele-Town Hall® Event comes with a complimentary MP3 recording. We can also provide transcripts of your event audio. This data belongs to your organization solely. Post-event data belongs solely to the client who conducts the event. Your lists, reports, statistics, and recordings are protected by a secure network. This data belongs to your organization. We introduced Tele-Town Hall in 2005 and haven’t looked back. Offices and agencies throughout the U.S. count on Tele-Town Hall for trusted connections and reliable results.